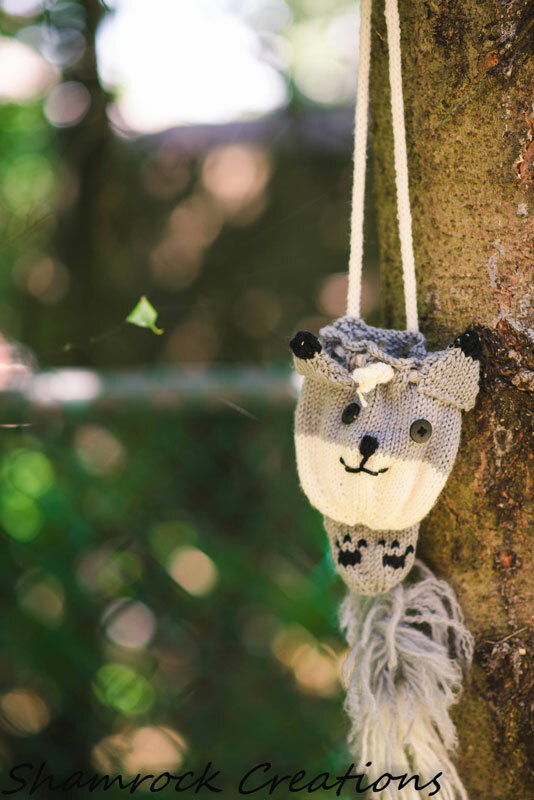 Free Fox Coin Purse Pattern in both Knit & Crochet! I’ve been doing quite a lot of collaboration with a few awesome designers lately in preparation for my next Mystery Create-A-Long, Jennika (details coming really soon! Get a sneak peek by clicking here). I’m excited to be able to team up with these amazing ladies in order to offer you even more goodies and freebies during my events than I have in the past. Tammy, of Shamrock Creations, is one of those awesome designers. She’s a real sweetheart, and has a really gorgeous style that I think you’ll love as much as I do. I’m very excited to be able to feature her super cute, super adorable, and super FUN free pattern today! 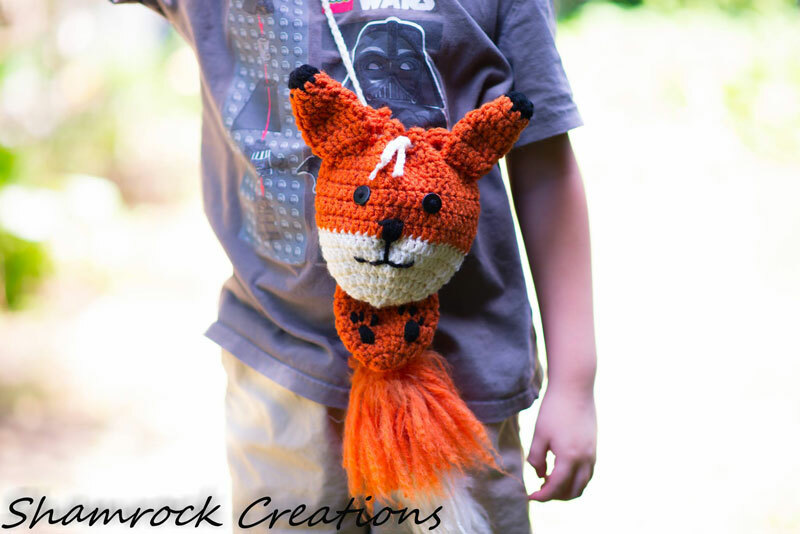 Free Knit Fox Pouch Pattern! These free crochet and knit coin purse patterns are perfect for any little one in your life. 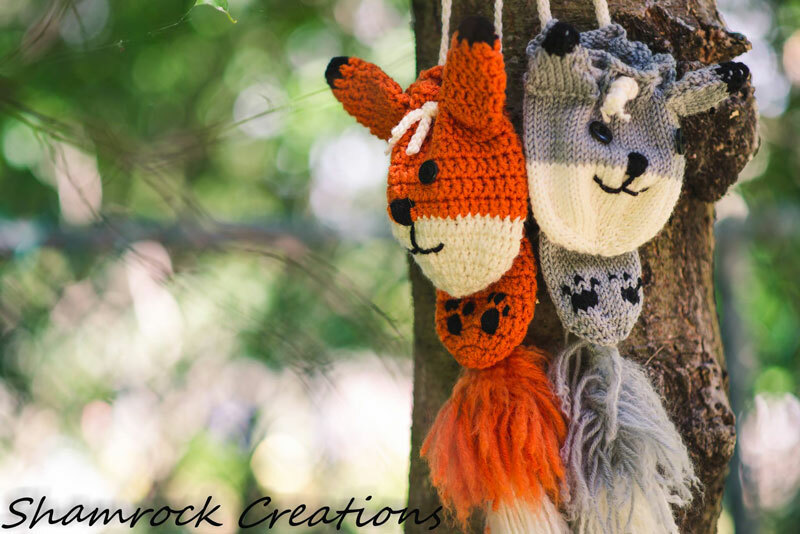 With as popular as foxes and raccoons have been lately, they’re also sure to be a hit in your shop or at a craft fair. Thank you to Tammy of Shamrock Creations for contributing this oh-so-cute free purse pattern as part of my Guest Contributor Program! Tammy is a mom to 3 wonderful little ones, who are the reason for all that she does. She’s a creator, photographer, and general craft enthusiast. She started crocheting in 2012 shortly before her middle child was born. She saw all the cute crochet hats and pieces available, but there was nobody in her area that did them. So she took it upon herself to learn. After lots of practice and many failed pieces, she learned. 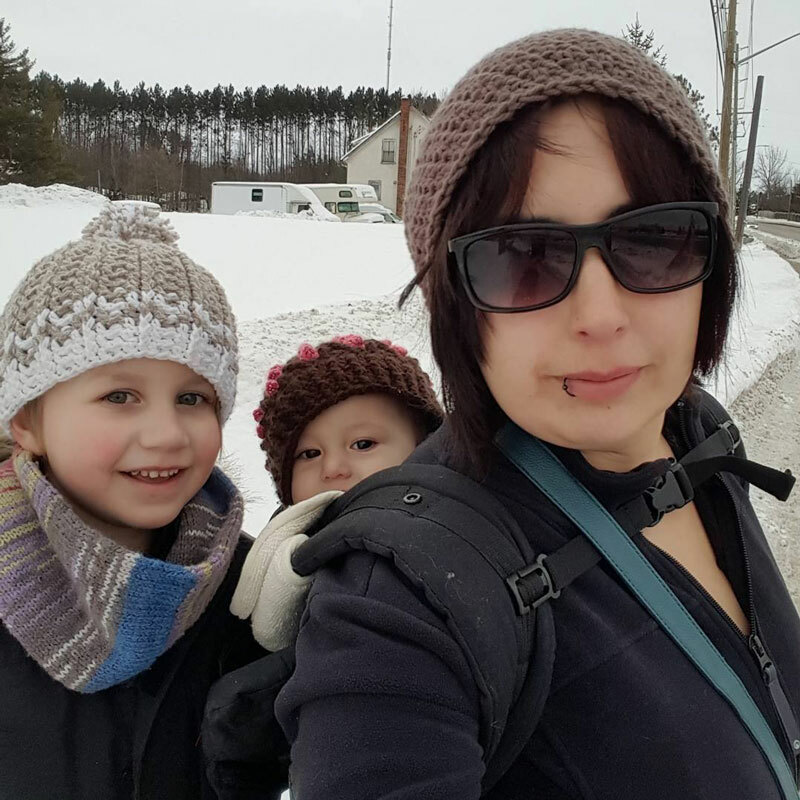 She re-learned knitting shortly before her little girl was born, in 2014. After becoming a tester for Melody’s Makings, she started designing pieces. She’s says she’s not perfect, but is constantly learning new things and techniques. 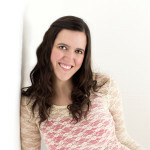 Visit her Facebook page by clicking here. 40 needles? I hope that was a 4.0 but what length would be needed? I just bought a bunch of 24″ circular needles would that work? Oh you are so right, the little ones will love these! Thank you so much for sharing your free pattern with me!! I just love them, and so will my Grand children..
My best guess is that the 40″ needles is to allow plenty of space for magic looping. I would think if you’re careful enough that you can do it on 24″ as well. Thank you for sharing. I think I’ll try both the crochet and the knit version. The paws are just embroidered onto the front using a yarn needle. You’d have to contact Tammy about the ad on the video. I can’t help with that, I’m sorry.